You may want to put Tonelux Tilt first on all your channels. It includes all the controls you need for a quick and rough setting before you get into the details - and it's quite possible you will find that Tilt was all your track needed to find its place in the mix. The Tilt filter does precisely what the name says - if you activate it and turn the control knob clockwise, it will attenuate the lows and boost the highs. Go counterclockwise, and the opposite happens - the sound gets fatter and darker. Turn on or off the Loud switch to make the effect stronger or back to keep it more subtle. 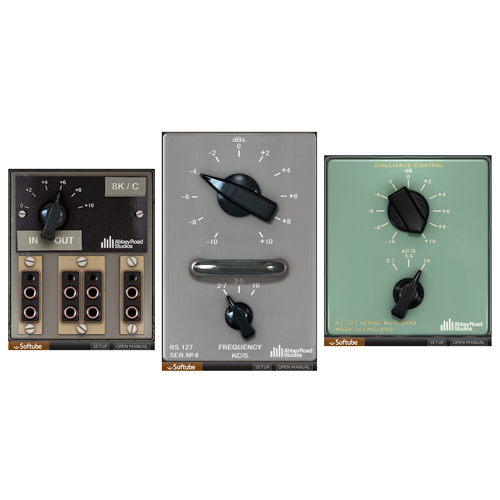 So by the twist of a single knob, you give your sound a basic and nice sounding frequency trimming. Move on to the gentle and natural sounding high and low pass filters, that are sweepable and switchable from -6dB to -12 dB per octave. Finally, you will find a polarity reversal switch and a gain knob. See? All you need for a basic rough setting of each and every channel! 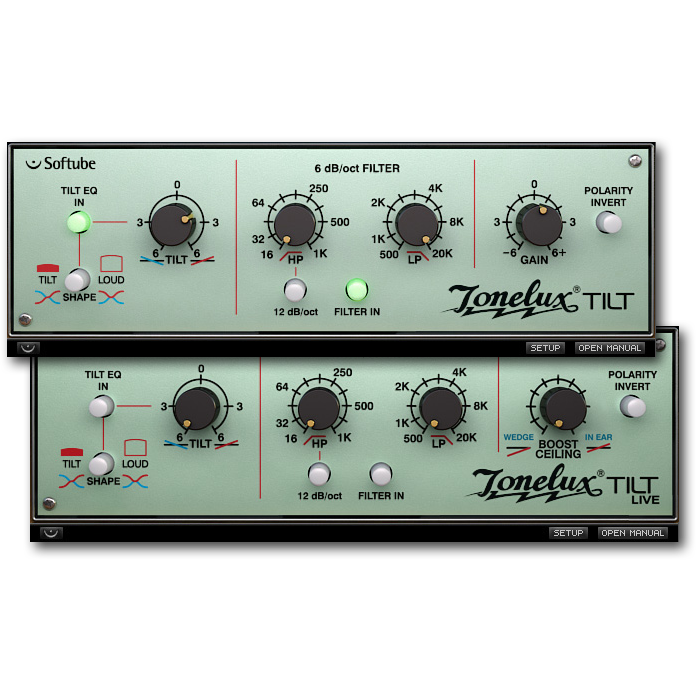 Softube's model of Tonelux Tilt also includes modeling of the transformer found in the Tonelux MP1a mic preamp. 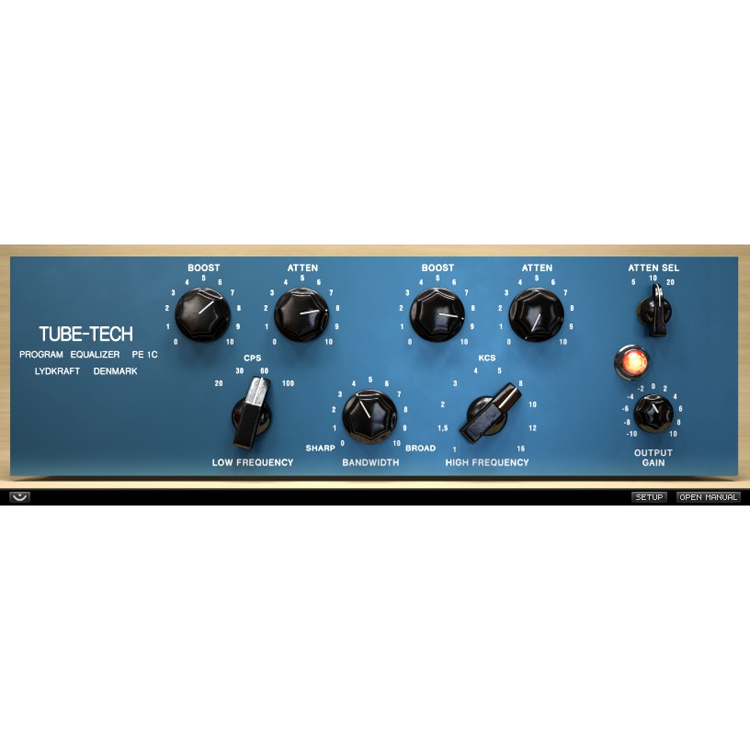 The transformer adds a subtle distortion for bass frequencies which fattens up the low end of a track. 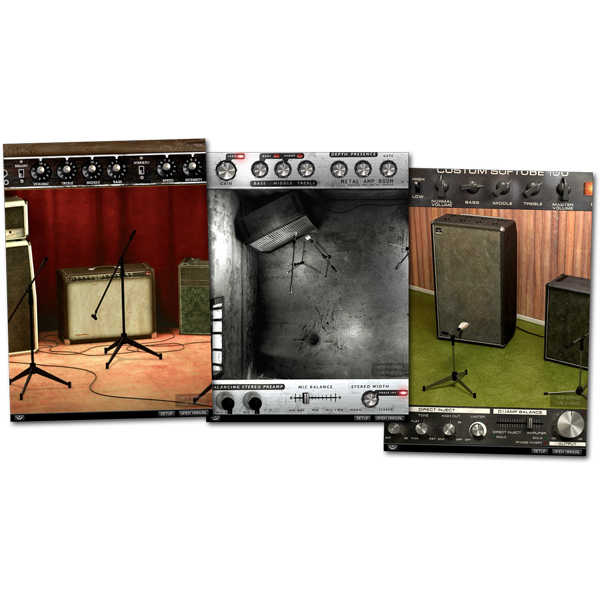 The Tilt plug-in is a joint development effort between Tonelux designer Paul Wolff and Softube, bringing the famous Tonelux sound to the digital world. The innovative Tilt design was first featured on the Tonelux MP1a discrete mic preamp module and has been a godsend for engineers and producers that need to take control of their sound in a fast and effective manner. 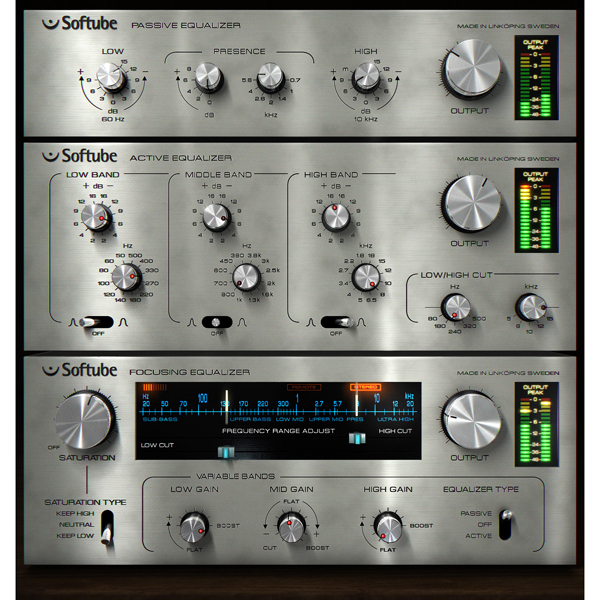 A special "Live" version of the Tilt plug-in is included, which is optimized for Digidesign VENUE and other live systems and contains features requested by live sound engineers. High and Low Pass filters, with 12 dB/oct option. Created together with original Tonelux designer Paul Wolff. 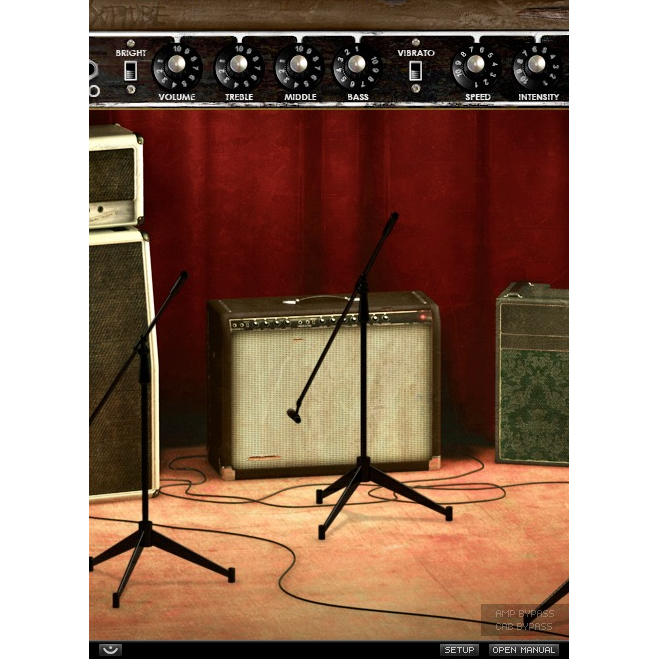 Tilt Live plug-in included, optimized for live sound engineers.